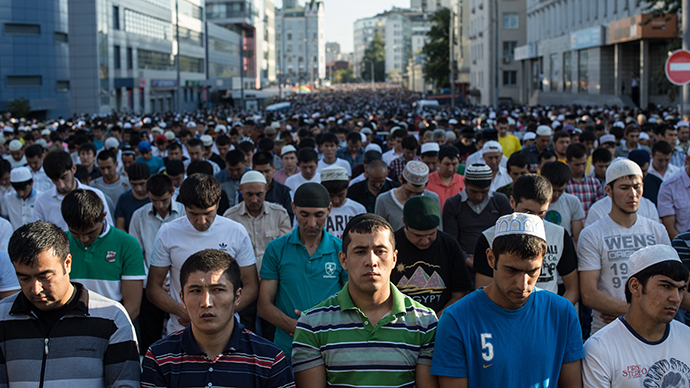 A senior spokesperson for Russia’s Council of Muftis has urged Moscow authorities to build more mosques in the city, saying this would prevent the overcrowding of city streets on major holidays. 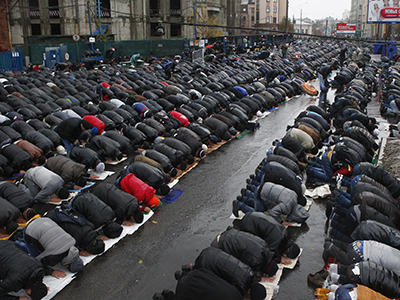 “Believers deserve more mosques in Moscow. We are suggesting ten mosques for the whole of Moscow, one for each administrative district. It would be easier, and no one would have to stop the traffic if the mosques were evenly distributed throughout the city,” Gulnur Gaziyeva was quoted as saying by RSN radio on Monday. The suggestion was made on the first day of Eid al-Fitr, the Muslim holiday of breaking the fast, which is known as Uraza Bairam in Russia. As in previous years the celebrations attract thousands of people to the two mosques in central Moscow, prompting the authorities to close several major streets to traffic, and putting an additional load on public transport. 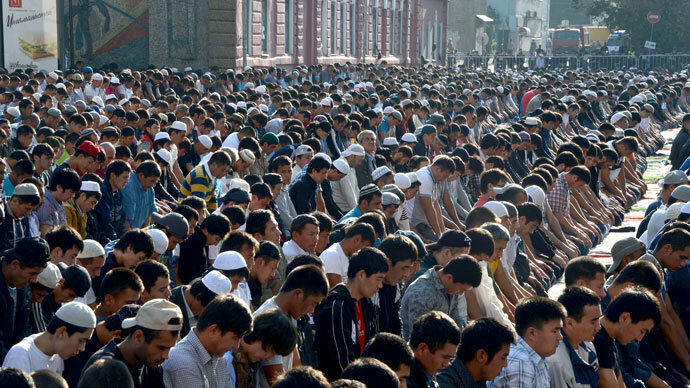 Muslim officials raise the issue of new mosques several times every year as the economic boom has drawn thousands of migrant workers from predominantly Muslim Central Asian states to the Russian capital. However, in November last year Moscow Mayor Sergey Sobyanin rejected the idea in a press interview saying that the majority of mosque-goers were not permanent residents of the city, but migrants who should go home once their working contracts expire. The Mayor said the existing three mosques could very well serve the needs of the permanent residents of Moscow who follow the Muslim faith. 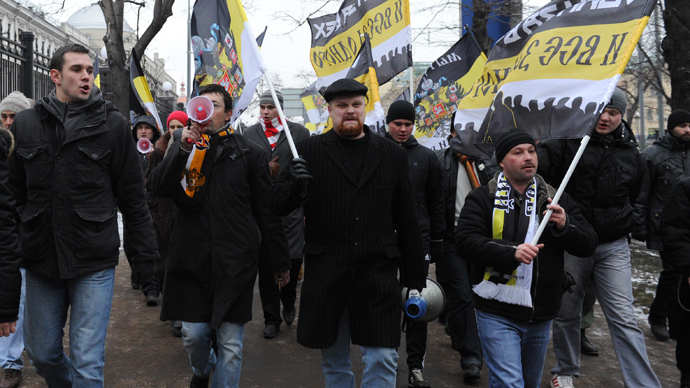 In 2012 the Echo of Moscow radio quoted Sobyanin as saying that no new mosques will be built in the city under his rule. According to official statistics from Moscow City Hall the number of labor migrants in the city is close to 2 million but there is no breakdown by religion.